A college campus is a place of higher learning. A setting where young adults are free to explore their potential and express their thoughts. Unfortunately, campuses have also become a target for violence. It’s a parent’s worst nightmare—a place that is meant to cultivate and provide further knowledge to their children—a home away from home—increasingly being attacked. It has led to parents looking closely at all that campuses have to offer when helping their children decide where they should attend—including security measures. Technology has already transformed how students engage in the learning process on campuses but can it also make college campuses safer? The answer is yes. Let’s explore how. School shootings—high school, college, and universities—are the most common type of mass shootings. Protecting educational institutions is necessary to cultivate a productive learning environment. And with five shootings occurring on college campuses alone in the United States since October of 2015, safety concerns are at an all-time high among university leaders and students alike. Technology is helping provide the peace of mind that educators, parents, and students deserve. Let’s examine how precisely technology aids security efforts. 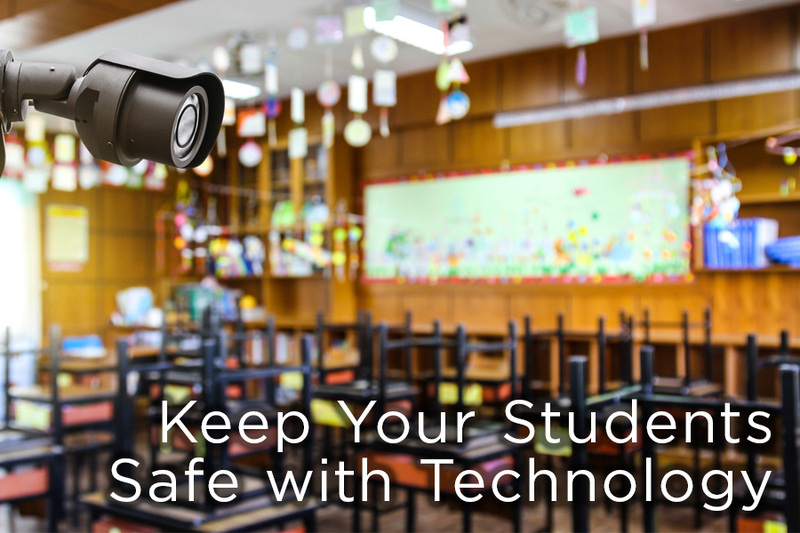 Technology is already integrated into student’s learning processes, so using technology to make campuses safer shouldn’t require a major learning curve. The installation of smarter security cameras, for instance, can increase the effectiveness of campus security officers. IP-enabled cameras that have pan/tilt/zoom capabilities allow for more effective monitoring on all areas of a campus. Smarter cameras with these functions allow officers to capture high-resolution details of the areas being monitored. In fact, smarter security cameras played a major role in Central Piedmont Community College security officers being able to track down a stolen car—within one day of the theft. While digital signage already plays a role on college campuses for advertising and student engagement reasons, incorporating digital signage as a security measure has proven to be highly effective. After the 2007 Virginia Tech shooting, many universities implemented emergency text and email protocols. But for some campus areas who do not enjoy the most efficient Wi-Fi and cell service, text and email alert systems can leave some students unaware of an active or potential threat. Digital signage programs, like Alertus Desktop, are looking to help change that via mass alert messaging on campuses. With certain digital signage technology, every desktop on campus would receive an alert in case of an emergency. By alerting every desktop on campus, digital signage can help to ensure every student on a campus is aware of an active or potential threat. Digital signage and smarter security cameras aren’t the only technologies enhancing campus safety. Access management systems are placing restrictions on who can gain entrance to certain areas of a campus. Unlike traditional keys and locks—keys can easily be misplaced and/or copied—access management systems offer a more controlled and easily monitorable entry system. By only allowing students to gain access to certain halls, access management systems prohibit free entrance and therefore allow universities greater control over who enters certain campus locations. The University of Connecticut (UConn) is on the cutting edge when it comes to using technology to enhance campus security. While the university has not experienced an overwhelming problem with campus violence or a shooting, two UConn alumni developed a new integrated system that can detect gunshots or explosions within a 250-yard range. Not only does the system detect danger, it also notifies officers through text, smart device notifications, and speech automated phone calls, all in less than two seconds. UConn’s automated notification technology is also integrated into their camera systems. If a gunshot or explosion is detected by the system, a notification is sent to police and campus security, also giving them the ability to access relevant camera angles. By allowing responders live visual feeds of the target area, the integrated technology enables law enforcement the most recent information possible. Also, by being able to watch live video of an incident, responders can plan the most effective strategy to neutralize the threat. Technology already permeates university students’ learning experiences. And now, that same technology is being slightly tweaked to ensure the highest level of safety on campuses across the nation. Whether it’s smarter camera systems, new implementation of digital signage, access management systems, or UConn’s cutting edge integrated system, technology is enhancing student and faculty safety on campuses nationwide—and it’s only the beginning.